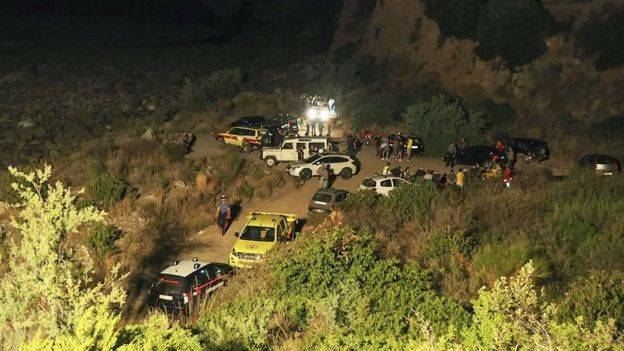 Eighteen others were rescued, including a 10-year-old boy, the regional head of civil protection told Italian TV. Six people have been taken to hospital. 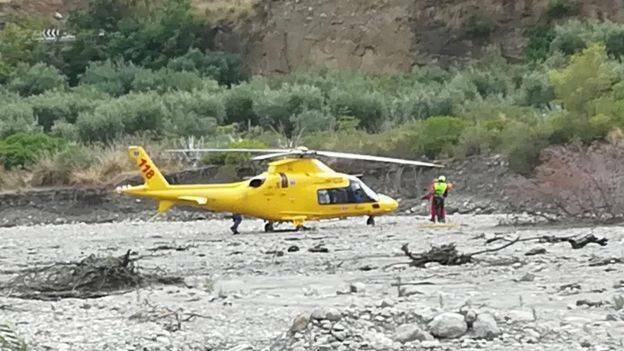 Carlo Tansi, head of civil protection, told reporters that when the hikers were hit by the water they were "catapulted out like bullets" and were washed down the valley for about 3km (two miles). "The Raganello Gorge is narrow and tall, it can get up to 1km (3,200ft) high," he said. "The gorge filled up with water in a really short time." 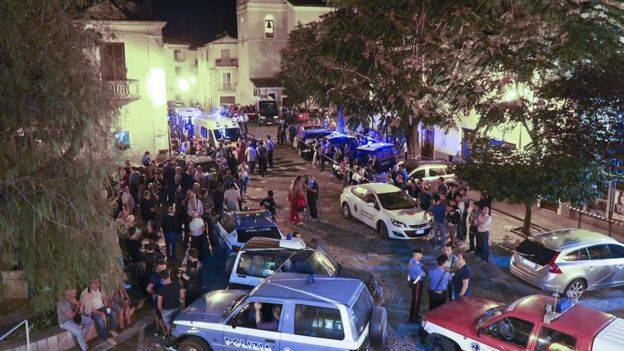 Eugenio Facciolla, chief prosecutor of the provincial capital Cosenza, said rescuers were trying to spot small patches of shore or tiny islands where survivors may have ended up. 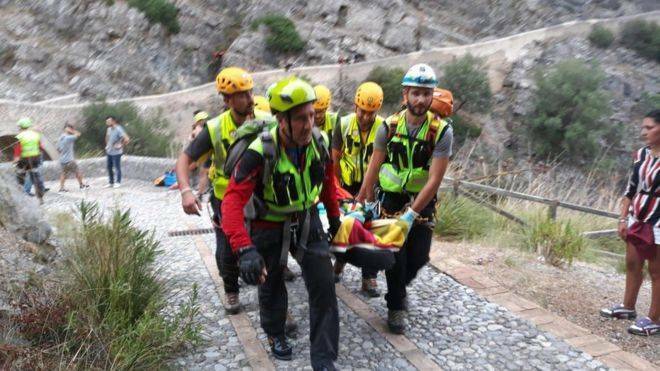 The nationalities of the hikers were not immediately known, although the Corriere della Sera newspaper said one of the injured was Dutch and had suffered a broken pelvis.